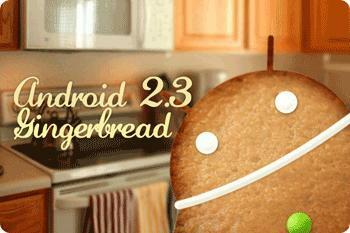 If you’re Android phone from AT&T was already released in 2011, and it’s a post-paid model, you can expect an update to Gingerbread at some point in your future. While officially announcing the LG Thrill 4G today, AT&T also brought some Gingerbread goodness along with them. Owners of the Motorola Atrix 4G will begin receiving an update to Android 2.3 today – and along with it the ability to download apps from third-party stores – and HTC Inspire owners can expect it in the coming weeks. The manner by which you will receive the update will vary by device and the size of the update. Where possible, updates will be delivered via OTA (over-the-air), but some will require either a Wi-Fi connection or a direct connection to a computer to install it. Each handsets update will vary in timing due to complexity, and we have no target dates outside of the Atrix or the Inspire. We still find it a bit odd that the LG Thrill 4G is launching out of the gate with Android 2.2 Froyo, but considering that the HTC Status was the first phone on AT&T to actually launch with the latest version of the operating system, you have to imagine prep work would have had to start ages ago. That being said, the Thrill is still coming some time in “the coming weeks,” so couldn’t they have it ready by then? Do you have one of the phones that is going to receive the update? Are you excited for it?